Mozambique boasts vast coal, ruby and gas deposits, but one of the southeast African nation’s biggest exports may be something more sinister: heroin. As much as $800 million (R10.9bn) worth of the narcotic is shipped annually from its beaches to neighboring countries and to Europe. That’s according to a research paper by Enact, a European Union-funded initiative to mitigate the impact of transnational organised crime, and a related working paper by Joseph Hanlon, visiting senior fellow at the London School of Economics and Political Science. "Mozambique is a significant heroin transit center and the trade has increased to 40 tons or more per year, making it a major export which contributes up to $100 million per year to the local economy," Hanlon said. "With an export value of $20 million per ton, heroin is probably the country’s largest or second-largest export after coal." The value of Mozambique coal exports more than doubled to $1.7bn (R23bn) last year, as production and prices rose, according to data from the central bank. Produced in Afghanistan and Pakistan, heroin is shipped to Mozambique’s coast with motorized wooden boats, which can carry up to a ton of the drug in hidden compartments, according to the Enact report. From there, it’s transported by road to neighboring South Africa. Some is sold to local users, but most of the heroin is destined for Europe, said the researchers, who include Mark Shaw, Simone Haysom, and Peter Gastrow. Traffickers appear to be increasingly using east and southern Africa as a land-based Balkan route has become more difficult to get the opioid into western Europe, the research shows. 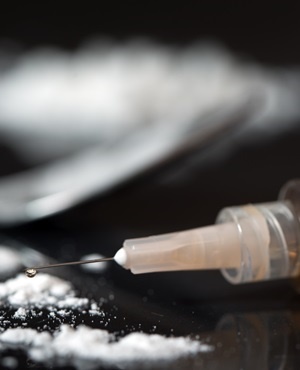 Heroin accounted for more than a quarter of Europe’s estimated $28bn (R383bn) drug market in 2013, according to the Lisbon-based European Monitoring Centre for Drugs and Drug Addiction. Mozambique’s 2 470-kilometre coastline has been used by maritime traders for centuries. A shadowy group that’s been attacking villages in Cabo Delgado province, killing more than 50 people and burning dozens of houses this year, has been moving into the cannabis trade in the coastal territory key to heroin traffickers, according to the Enact paper, which didn’t link them to opioids.